Home and auto insurance are two pillars of insurance protection that are almost universally understood to be necessary. However, when it comes to choosing and paying for coverage, you have nearly infinite options. The range of coverage details, exemptions, coverage amounts, and limitations add complexity. This can make shopping for insurance seem like a maze without an exit. Without the knowledge of what to look for, your home and auto insurance can become a costly money leak. But overwhelm is no reason to pay more than you need to or settle for coverage that’s less than best. Your goal is to pay the least for the best possible coverage. To help you do that, we want to show you the tricks of the trade. These insights will help you become more efficient with these coverages, keeping more of your dollars in your pocket. With these strategies, you’ll get the best deals on your home and auto insurance and win at insurance shopping. How do I make the best decisions on my home and auto insurance? How do I shrink my home and auto insurance cost while maximizing my protection? What do I include in my home and auto insurance coverage to get the best for the lowest price? We’ll first walk you through understanding your coverages. Then we’ll give you the exact tips to get the best value home and auto insurance for the least premium. You’ll feel protected and secure, without mourning the cost. Once we’ve done that, we’ll walk you through the added layer of business insurances. We’ll show you how to maximize your coverage and minimize your costs as you protect one of your most valuable assets. You’ll gain confidence and peace of mind without giving up any more of your dollars in monthly expenses than necessary. The primary purpose of auto insurance is to transfer your risk of having to pay out of pocket if you cause injury or damage to others. If you are at fault in an accident, your liability portion of your auto insurance will cover the cost of damages to the other person, up to your coverage limits. To understand your coverage limits, look at the number code on your liability protection. It would be something like this: $100,000/$300,000/$100,000. Coverage ranges from state-required minimums to legally operate a car, usually around $25,000/$50,000/$25,000, up to a maximum of about $500,000/$500,000/$500,000. Here’s how it applies. Suzanne caused an accident. She collided with a $60,000 BMW carrying four passengers. Their car was totaled, and each person sustained $100,000 of bodily injury. Additionally, the accident caused $100,000 of property damage to the business at that intersection. Her costs would be $100,000/$400,000/$160,000. Suzanne’s $50,000/$100,000/$50,000 liability coverage was inadequate to cover the damages. For Suzanne, this accident has the potential to pierce her roof of protection. If she has to pay the balance out of pocket, it will impact her assets and cash flow. While state minimums exist, they are often inadequate to give you the protection you need. Further, many people drive uninsured, despite the law. As a result, many drivers do not have enough insurance. If they hit you, their insurance is insufficient to pay the full costs. What if the other driver hits you, but doesn’t have enough insurance to pay for the damages? 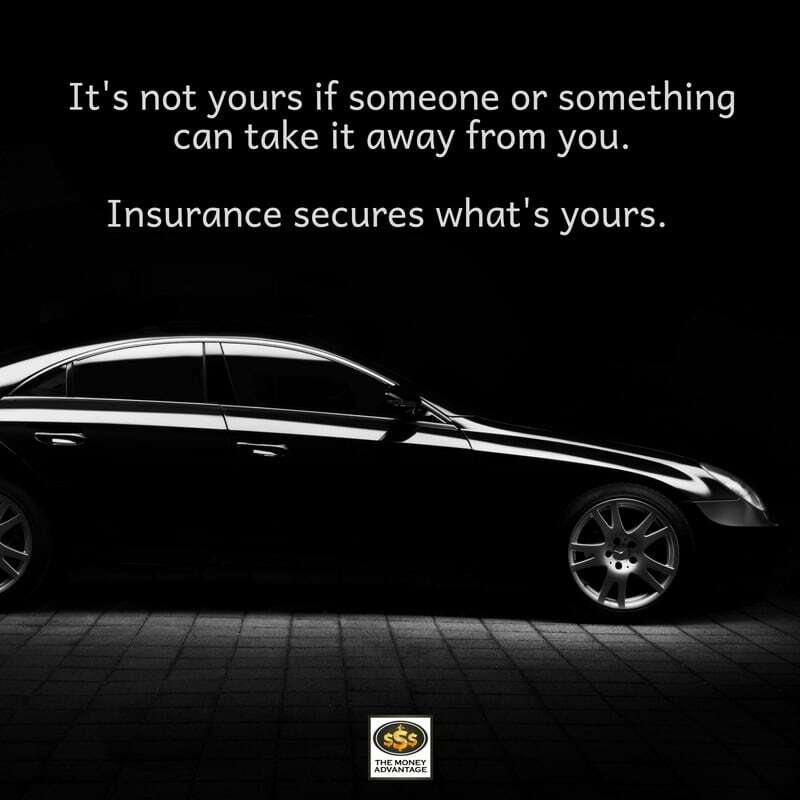 In this case, your own policy’s Uninsured/Under-Insured Motorist protection will cover your losses. It protects you from paying out of pocket for damages caused by someone else who doesn’t have enough insurance to pay the claim. Ensure your liability protection and your uninsured/under-insured motorist protection are both top notch. On your policy declaration page, this coverage will mirror the structure of your liability protection. However, it will be a separate line item on your policy declaration page and may also have a different limit of coverage. Here’s how it applies. Carlos hits Leonardo. Carlos has no insurance. Leonardo’s Uninsured/Under-Insured Motorist Protection on his own policy pays for injury to Leonardo and his passengers, and for damages to Leonardo’s vehicle. What Coverage Protects Me in Other Scenarios? Auto insurance covers a complex range of scenarios involving damage between two parties. Auto accidents are common. And costly. And auto insurance pays, but only up to the limits of the policy, and depending on who is at fault. Here’s the possible matrix of coverage, involving just two drivers. Note the gold spaces are the ones that could rely on your insurance, either as a primary option or as a back-up. So, who covers your car if you’re at fault? In this case, neither your liability coverage or the other driver’s will be on the hook. It will be your collision coverage that pays for damages to your car if you are at fault in an accident. Your comprehensive coverage pays for damages to your car that are not the result of an accident, like vandalism or theft. And what covers the people in your car if you’re at fault? Your Personal Injury Protection (PIP), also called Medical Payments Coverage, or a Medical Expense rider in some states, usually pays for the insured’s injuries, no matter who is at fault. Your PIP covers you, and my PIP covers me. PIP will cover medical bills while auto companies are adjusting the claim and determining who will pay. Although this coverage may seem similar to health insurance, you want to have both. Your health insurance covers you and your family’s medical expenses, but PIP is broader, covering anyone in your vehicle. Additionally, PIP will not have some of the limitations of a health plan, which may dictate the type of doctors and treatment, based on what’s reasonable and necessary. While there are variations between states and your specific policy, typically PIP covers medical expenses, lost wages due to injury, and funeral expenses for you and your passengers. If you find yourself in the position of needing medical attention after an accident, use your PIP first and max out your coverage before applying costs to your medical insurance. It’s important to be aware, however, that PIP bills do not count towards your health deductible. Similar to your car insurance, homeowner’s insurance has two primary parts. One part covers your stuff, and the other covers you. There are similar Renter’s Insurance policies if you rent instead. Insuring your house and belongings against costly damage gives you the peace of mind that your assets are secure. Homeowner’s insurance typically covers losses that result from wind, rain, fire, hail, lightning, or vandalism. Without the coverage, you’re exposed to the risk of having to pay out of pocket for expensive repairs. The coverage is differentiated between things that are nailed down and things that could be shaken out. Your dwelling limit is the amount paid if you had to rebuild your home altogether, which will be different from the market value of the property. It covers the physical structure itself and anything attached, like cabinetry, flooring, and built-in appliances. Coverage for other structures pays for replacement of other buildings on the property. Also, you can cover replacement costs above the dwelling limit, usually up to 120% of the cost of replacing your home exactly as it is now. Ordinance or law coverage will pay for additional installations that may be required to bring a newly constructed home up to current building codes. Loss of use will cover costs you incur while you are unable to live in your home due to insurance-covered damages and must move out for the duration of home repairs. Coverage for the contents or personal property of your home includes the declared value of your belongings inside the house. Imagine turning your house upside down and shaking it. Your contents coverage would cover everything that falls out, should it be lost due to the same perils of windstorm, hail, etc. This includes everything from furniture to appliances and clothes. You can declare and document coverage for items of value like jewelry and firearms. We also recommend doing a video documentation walk-through of the contents of your home, should a loss occur. Complete losses will replace the full value. Partial losses will require documentation to recover the portion of your personal items that were lost. Bruce’s personal story of his house fire in the podcast linked above illustrates the value of covering the maximum replacement costs and video documenting all your belongings inside the house. It’s important to understand what’s covered and what’s not covered. Policy specifications are particular to the insurance company and the policy you purchase. Homeowner’s policies do not cover flood damage. Damage from water coming down is usually covered, but not damage from water coming up. Flood insurance may be required if you live in a flood zone with a known risk of potential flooding. However, if you’re outside a flood zone, seeking out and purchasing this coverage would be at your own discretion. Recently, the August 2017 storm, Hurricane Harvey, brought attention to this concern nationally. Dams were opened to mitigate the disaster from torrential rain, leaving thousands of Houston area homes flooded and without insurance to cover damages. Additionally, roof leaks are usually not covered if they occur due to wear and tear but would likely be covered if the damage is due to wind and hail. Your homeowner’s policy also includes coverage that protects you from being liable for injury caused to guests on your property on or off your property. This coverage goes with you anywhere in the world, although some exclusions or exceptions may apply, like when you’re conducting business or professional activities. Although you may strive to ensure a safe environment in your home for guests and visitors, hazards arise that you may have a responsibility for. For example, a guest in hour home may trip on your step and fall, twisting their ankle. Additionally, your belongings may injure others while you’re away from home, such as if your dog bites someone while you’re playing at the park. In both cases, your liability protection on your homeowner’s policy will cover resulting costs. Note that the people who live in your house are not covered for similar injuries under this coverage. Personal liability covers injury or property damage to guests who visit your property. Medical payments cover medical or funeral expenses for guests who visit your property, or people who are injured as a result of your actions. Additional coverage includes personal injury liability that covers costs you are legally held responsible for caused by false arrest, libel, slander, or invasion of privacy. Identity theft protection is another available coverage. One way to maximize your protection is to extend your liability protection with an umbrella policy. If you were at fault and caused injury or damages above the limits of your liability coverage, your umbrella policy would pick up the rest. Note that your umbrella policy overlays your other liability policies but does not extend the other coverages like structural damage or PIP. Don’t skimp on your coverage. There are too many situations where your costs can be higher than expected. Prepare for the catastrophic situation that hopefully will never arise. With auto insurance, it’s ideal to start with the maximum coverage around $500,000/$500,000/$500,000 both for your liability protection, and for your uninsured/under-insured motorist coverage. Get as much PIP as you can, although the highest I’ve seen is $25,000 per person. Maximize your dwelling, structures, loss of use, and personal property coverage. With homeowner’s insurance, start with the 100% value of your replacement costs, and add the 20% additional rider. Document your belongings with video footage. Maximize your personal liability and personal injury liability protections, usually around $500,000 each. Extend your medical payments as high as possible, usually about $5,000. For umbrella coverage, many people can qualify for a $2 Million policy without requiring additional underwriting. Get as much as possible. A key differentiator is to make sure your umbrella policy extends the uninsured/underinsured liability coverage. Your umbrella policy would then cover these costs. Most umbrella policies do not extend them, but a good one will. One of the easiest ways to save money on your auto insurance each month is to raise your deductible. You’re essentially buying back the most expensive first dollars of coverage from the insurance company. For example, increasing your deductible from $250 to $1,000 may save you $100/month. Make sure you have enough in savings to pay for the deductible if the need arises. Weigh the savings over a year against the change in deductible to consider if you’re still getting ahead, even if you have a claim. Don’t set your deductible lower than the amount you’d choose to pay out of pocket anyway. 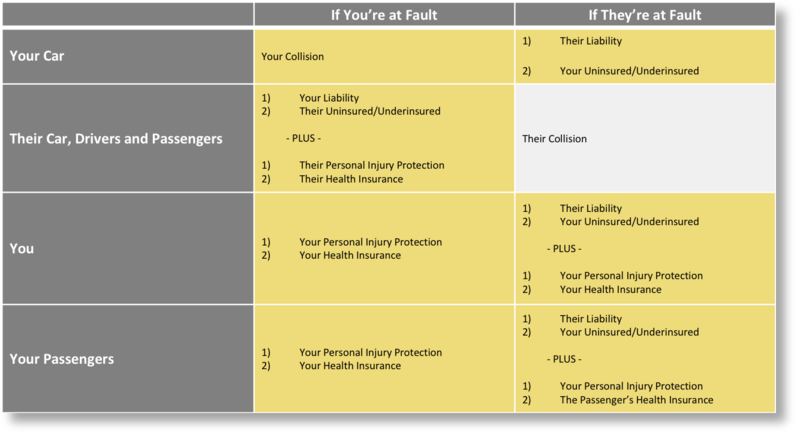 You may have separate deductibles on your comprehensive and collision coverage than on your liability. With homeowner’s insurance, you may also have separate hurricane deductibles. Increasing any deductibles will save you premium dollars, but make sure you do your due diligence first. Umbrella policies are for everyone. Every level of economic achievement has the possibility of losses higher than the underlying policies can cover. The good news is that a loss of this magnitude is unlikely. Liability claims that extend beyond the limits of your liability and into your umbrella policy are unlikely because claims will hit your underlying policies first. Therefore, the cost of umbrella liability protection is relatively low, making it more efficient and less expensive, compared to the underlying home and auto insurance. For instance, I’ve frequently seen $2 Million umbrella policies cost about $300/year. To qualify for an umbrella policy, you’ll need to have a specific amount of liability protection, determined by the particular insurer. Find out what liability coverage is required on your auto to be able to qualify for an umbrella policy. The typical requirements are about $250,000/$500,000/$100,000 on your auto policy and around $300,000 on your homeowner’s liability policy. However, requirements may vary according to the insurer. When making any policy changes, you’ll want to make sure you’re considering the whole picture. Only maximize your discounts after making sure that the coverage is ideal for you. If coverage is better with another carrier, don’t settle for second-class coverage just because you’ll get a multi-line discount. As a business owner, you have additional liabilities, and assets to protect. Here are the coverages to think through to bolster your peace of mind. Commercial property insurance protects your business’s physical assets, including its building, furniture, equipment, inventory, etc. from damage by fire, wind, hail, lightning, vandalism or explosions. It is very similar to the structures or dwelling coverage on your homeowner’s policy, as it protects the owner of the building for having to pay out of pocket for damages. Extra expense insurance will pay for additional costs outside ordinary operating expenses that a business incurs to maintain operations while the property is being repaired after a covered loss. This would include covering moving costs to move the office to a nearby location. Business liability insurance covers damages to others who interact with your business, including your customers, partners, suppliers, vendors, or employees. There are many types of liability coverages for your business, depending on the relationship you’re protecting. Commercial General Liability (GL) can help address third-party lawsuits, those not brought by your employees. For example, if someone became injured in your office and sued, most GL policies will cover bodily injury and property damage, personal and advertising injury liability, and medical payments. Professional liability insurance protects you as a business owner for damage or injury you cause someone else while acting in your profession. The coverage may be called different names for various occupations, including Directors and Officers Liability (D&O), Errors and Omissions (E&O), or Medical Professional Liability Insurance, also known as Medical Malpractice Insurance. This insurance covers you for judgments, awards, and settlements for negligence, misrepresentation, violation of good faith and fair dealing, or inaccurate advice. Your profession or professional associations may require a minimum coverage based on your business volume. Maximize this coverage for the greatest benefit and increase deductibles to lower your premium cost. If your employee has an accident while on the job, you as the employer are liable, regardless of how the injury occurred, with some exceptions. It pays for your employees’ injuries or illnesses that result from performing their job duties. It covers medical and rehabilitation expenses, disability benefits, death, and occupational disease, and replaces lost wages due to the claim. Your coverage options include injury by accident or injury by disease per employee or policy. Worker’s Compensation is legally required, or you could face fines. From an economic standpoint, the cost of keeping the risk is higher than the cost of transferring the risk, as a single incident could drain hundreds of thousands of dollars. Get as much worker’s compensation coverage as you can. Employment Practices Liability Insurance, referred to as EPLI, covers employers when they are liable or accused of fault for employment-related concerns. Common allegations include sexual harassment, sexual or age discrimination, negligent hiring, negligent retention, failure to promote, failure to hire, or wrongful termination. Commercial umbrella insurance extends the liability limits of your underlying general liability policy, protecting business assets from being at risk during a lawsuit. If costs rise above the limits of your business’s primary insurance policies, your umbrella policy will catch the excess charges. If your business suffered a disaster, buildings and property would be covered under the business’s property insurance. But if the disaster interrupted your business and caused a loss of income, business interruption insurance covers your profits, so you continue to operate as usual financially. This insurance is also called business income insurance and is usually available as an add-on to the business’s property insurance or a business owner’s policy. Business insurance may also include other optional coverages for some of the most likely risks. Options include professional liability, equipment breakdown, inland marine, data breach or cyber liability, employment practices, accounts receivable, workplace violence expense, and hired/non-owned auto coverages. For example, the hired/non-owned auto protects the business when an employee or owner drives a car that is not owned by the business or an owner. Business Overhead Expense Insurance, or BOE, pays for your business expenses if you cannot operate your business due to a disability. With this coverage, you can keep the company afloat as one of your most valuable assets, especially if your business is mainly dependent on you. Secure this coverage. To minimize premium, increase the waiting period between filing a claim and the day benefits begin to pay out. Wisely ensure you have business reserves that could cover business expenses in the short-term. One of the best tips to get the highest value with the most coverage at the least cost is to bundle your coverage. Bundling coverage through a business owner’s policy is one way to reduce your costs. A business owner’s policy (BOP) is a smorgasbord of protections all built into one policy, packaged together for small or mid-sized businesses. It includes property damage to protect your business’s buildings and contents, business income to replenish lost revenue due to business interruption, and general liability coverage to cover damages caused by the business, owners, or employees, on or off-site. Increase building coverage to protect buildings and maximize business personal property coverage to protect the contents. It pays to ensure you have business reserves to cover a higher deductible, and then raise your deductibles. Deductibles will range with the carrier and line of coverage. For instance, standard options for your professional liability coverage will be $2500, $5000, $7500, $10,000, or higher if you request it. Maximize your coverage with a commercial umbrella policy. Familiarize yourself with your industry requirements. Maximize your home and auto insurance, as well as your business insurance, by getting as much as you can, storing reserves, raising deductibles, bundling coverage, and topping it off with an umbrella policy. Save money by buying insurance in the areas you face a risk. It’s more expensive to maintain the risk and have the possibility of having to pay out of pocket than it is to transfer it to the insurance company. The peace of mind you gain from sufficient protection will allow you to produce more value, innovate, serve more clients better, and grow your business. 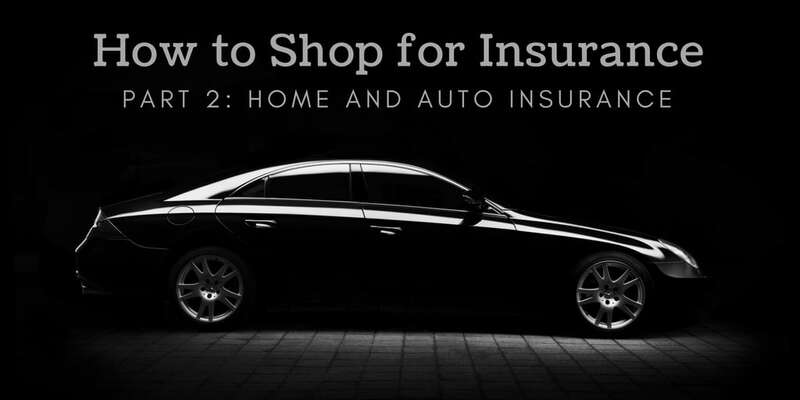 In How to Shop for Insurance Part 3: Life, Health and Disability Insurance we’ll show you how to apply these guidelines to your life, health and disability insurance. If you’d like personal guidance to see how you can save on insurance, we’d love to help you. 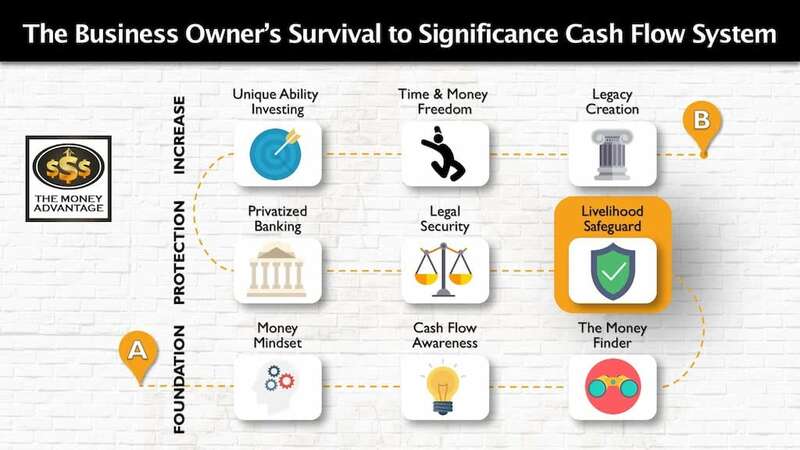 To do this, we need to understand your full financial picture to provide personalized recommendations.